Lake Garda is serviced by a fantastic transport network, so whether you prefer to fly, drive or take the train getting to Lake Garda is very easy. Once you are there you can travel around the lakeside towns using the ‘Gardesana Orientale’, a road that circumnavigates the lake. Or if you prefer to leave the car at your accommodation there is a regular ferry service that covers the whole of the lake. Verona is the closest airport and less than twenty minutes away from the south coast resorts such as Peschiera and Sirmione. There are a number of UK operators offering cheap flights into Verona, including British airways, Easyjet and Monarch. Bergamo, which is about an hours drive to Salo on the west Brescian coast of the Lake Garda, is serviced by Ryanair. Milan’s Malpensa and Linate airports are both about 90 minutes from Salò. Many people like to include a trip to Venice into their Lake Garda holiday and it is becoming more popular now to fly into Venice airport, especially as it is also now serviced by a number of operators offering cheap flights. 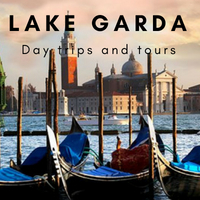 Whether you are on a touring holiday or have picked up your hire car from one of the airports, Lake Garda is easily reached via the A4 motorway that runs from Milan to Venice. If travelling from the west and heading to the west coast or northern resorts of Lake Garda then take Brescia Est exit and take the Salò road. There are also exits at Desenzano, Sirmione and Peschiera if you are coming from the east or staying at other parts of the lake. Brescia and Verona are both around half an hour’s drive from the lake’s southern tip. Car ferries cross Lake Garda between Desenzano and Riva del Garda several times a day, stopping at various ports en route (including Sirmione, Salò, Gargnano, Malcesine and Limone); the pedestrian ferry boats and high speed catamarans are more frequent. Click here for timetables and fares. There are many Taxi companies offering transfers from the airports and train station. Love Lake Garda has a partner offering very competitive prices. Fill out a contact form if you would like to get a quote or make a booking. Lake Garda’s is easily reachable by train. Mainline stations in Desenzano and Peschiera are connected by regular services to Milan, Venice, Verona and Brescia. If you are touring Italy you can also travel from Lake Garda south to Bologna, Florence and Rome. Use the search box below for timetables, prices and to book tickets. 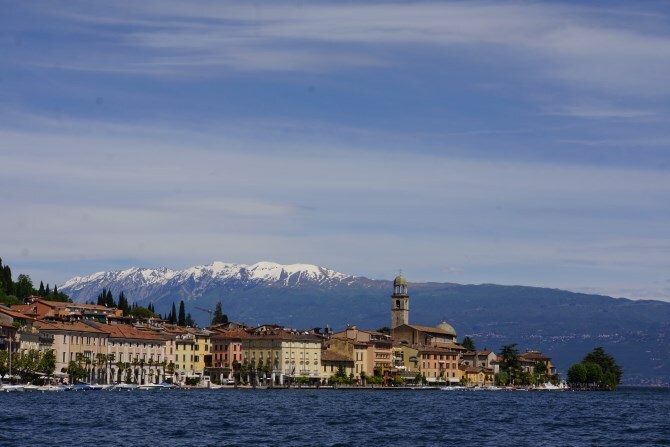 From Desenzano you can easily connect to the other Lake Garda towns using the ferry or SIA bus services (840 620 001). Have u any idea how much a return transfer from Verona airport to Riva would cost in September? Hi Ruth, would imagine around €120 each way. If you contact our taxi partnersthey will provide you with a quote. They do speak English. Can anyone tell me Lake Garda or lake Como? Hi Diana, both lakes are stunningly beautiful, I would say Lake Garda not just because I’m biased but because there is a greater accessibility to the lake front. You can get the train direct to Desenzano and stay on the south or west coast. My favourite town is Salò which like all the towns gives fantastic access to all the Lake Garda towns. you can take a train direct from milan to desenzano? I am staying in Sirmione, can you take a ferry ride from desenzano? Hi Dawn, the answer to both your questions is yes. Sirmione is not too far from Desenzano so you could also get a bus or taxi. The train station is about a mile or so back fro the lake front. We are travelling to Riva Del Garda for a sailing championships and are towing our 8 metre boat. Which route do you suggest from Milan? Up the west side of the lake? Either side should be ok but the west side has some narrow tunnels. While the summer is the time to if you want to enjoy a full events calendar, days on the beach and enjoying the fresh clear waters of the lake, Lake Garda is actually and all year round destination. Of course I don’t know what your kids enjoy, but you could still explore the historic lakeside towns and eat wonderful local food. Many if the Lake Garda attractions stay ope all year, although with reduced opening hours. Check the link to see what’s available and when. I would suggest staying in Desenzano as it is one of the larger towns and has a bit more winter life, although personally I’m a Salò man. Desenzano has a train station with direct links to Italian cities such as Venice, Verona, Padova, Brescia. Bergamo and Milan.